On May 22, the federal government tabled the text of the Comprehensive and Progressive Agreement for Trans-Pacific Partnership (CPTPP), taking the first step towards ratifying the multilateral trade deal. While it’s still unclear when the deal will get over the finish line, once it’s in effect, there are big opportunities for western Canadian businesses. The CPTPP trade agreement is the most important trade deal Ottawa has signed for business in western Canada since the North American Free Trade Agreement (NAFTA). It will create one set of modern trade rules for the 11 participating countries (Canada, Japan, Mexico, Malaysia, Singapore, Vietnam, Australia, New Zealand, Chile, Peru, and Brunei). In effect, it allows members to not only buy and sell goods from each other but to build supply and production chains that take advantage of the labour, technology and geographic advantages of firms in each country to make goods together that are more competitive globally. The agreement also builds on measures pioneered in NAFTA and subsequent North American initiatives like “Beyond the Border” to facilitate the movement of goods and people. It adds things that were missing in NAFTA such as a focus on helping small business, and rules for expediting express shipments through customs, a critical addition in the era of just-in-time processing. Unlike NAFTA, the CPTPP will grow – six additional countries, with a combined 200 million customers, are reported to be queuing up to join the pact. Our modelling shows the CPTPP will bring hundreds of millions of dollars a year to the Canadian economy as our exporters take market share from the U.S. in CPTPP markets. It also gives us an opportunity to catch up with our competitors who are ahead of us on market access to Asia. A reduction in tariffs, both on products we export and goods we import, is typically the first thing we think of in relation to trade agreements. And while the CPTPP benefits will extend far beyond tariffs, as noted above, they are still an important component of the deal. Each of the 11 CPTPP countries have their own individual tariff schedule outlining tariff changes by product. Tariffs on about 95 per cent of goods traded between CPTPP markets will be eliminated, with many being immediately reduced to zero. To determine the changes in tariffs for specific products, the first step for businesses is to check the CPTPP tariff schedules for the products they export or import. To do this, they need to know the HS codes of the product(s) they buy or sell. Although the tariff schedules are extensive – Japan’s for example is 1,133 pages – knowing the HS code(s) allows businesses to easily and quickly search for the codes that are of interest. Take for example a honey co-op in western Canada wondering if the CPTPP will provide any tariff advantage in markets they already export to, or provide new opportunities in CPTPP countries where they do not yet export large amounts. After the U.S., Japan is the second largest importer of Canadian honey. Three CPTPP countries are already in the top five importers of Canadian beeswax – Vietnam, Singapore and Japan. Searching the CPTPP tariff schedules for the three CPTPP countries the honey co-op already exports honey and beeswax to shows Japan’s significant tariff on honey will be reduced by more than three per cent every year until it reaches zero in the eighth year of the agreement. This will bring significant savings to the co-op and its producers. It also gives Canadian honey exporters an advantage over the two biggest global honey exporters – China and Germany, neither of which have trade deals with Japan. While China and Japan are currently in trade agreement talks, Chinese honey exports to Japan will continue to face the 25.5 per cent tariff until an agreement is concluded, while Canadian exporters will benefit from annual tariff reductions. The honey co-op does not currently export to Vietnam, but with the CPTPP reducing that country’s honey tariff from 10 per cent to zero upon entry into force of the agreement, it decides to look into the viability of selling to Vietnam. 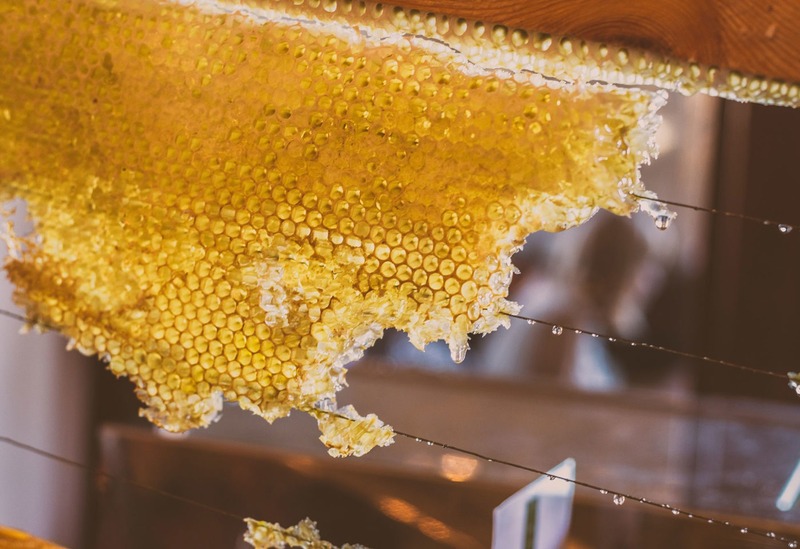 The honey co-op will also realize savings on its beeswax exports to Vietnam and Japan thanks to tariff reductions. • Rules of origin: once a product qualifies under CPTPP rules for one CPTPP market, it can be sold in all other CPTPP markets without additional paperwork. Businesses can buy inputs from any CPTPP country or collection of countries to make goods for or sell services into any CPTPP market. • Easier trade facilitation rules: Allows for self-certification (products do not need a certification of origin) and firms can obtain advance rulings from CPTPP country customs officials that last up to three years. • Partnership opportunities: Partnering with firms in other CPTPP countries may allow for the provision of year-round production of goods or service provision across time zones. Stay tuned as we take a deeper dive into the CPTPP benefits beyond tariff reductions with the release of our CPTPP Guide for Western Canadian Small Businesses in fall 2018. Sign up here to receive the report when it’s released and stay up to date on our latest reports. – Naomi Christensen is senior policy analyst at the Canada West Foundation.